I have been on both sides of the garden tour circuit..hosting more than I can count, and touring just as many. And truly, there is an artistry to both. 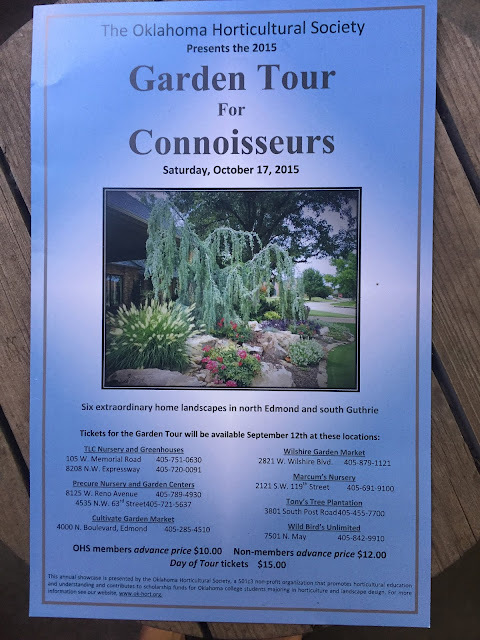 As I prepare to attend the annual Oklahoma Horticultural Society 2015 Garden Tour tomorrow, October 17 from 9-4 (Find out more about the OHS tour here), I thought I'd share 5 Ways to prepare for, and get the most out of a garden tour. 1. Do I have problem spots in my yard/garden/landscape/home exterior that I want to find solutions for? Are there techniques, tools, products and/or practices that can help me resolve them? 2. Have I packed my camera, notebook, sunscreen, hat, umbrella, muck boots, comfortable foot attire, water bottle, coffee.......oh, and TICKET? 3. Is there a spot where I need to find just the right garden ornament or embellishment to personalize my space and enhance its beauty? (Think benches, pots, birdbaths, lanterns, hanging baskets, fountains, etc...) What should I be on the look out for? 4. Is there a particular plant, color, ground cover, tree, shrub or grass that I would like to add to my garden and am not sure how? A specific form or shape or sense of scale I am in need of and want to be on the lookout for? 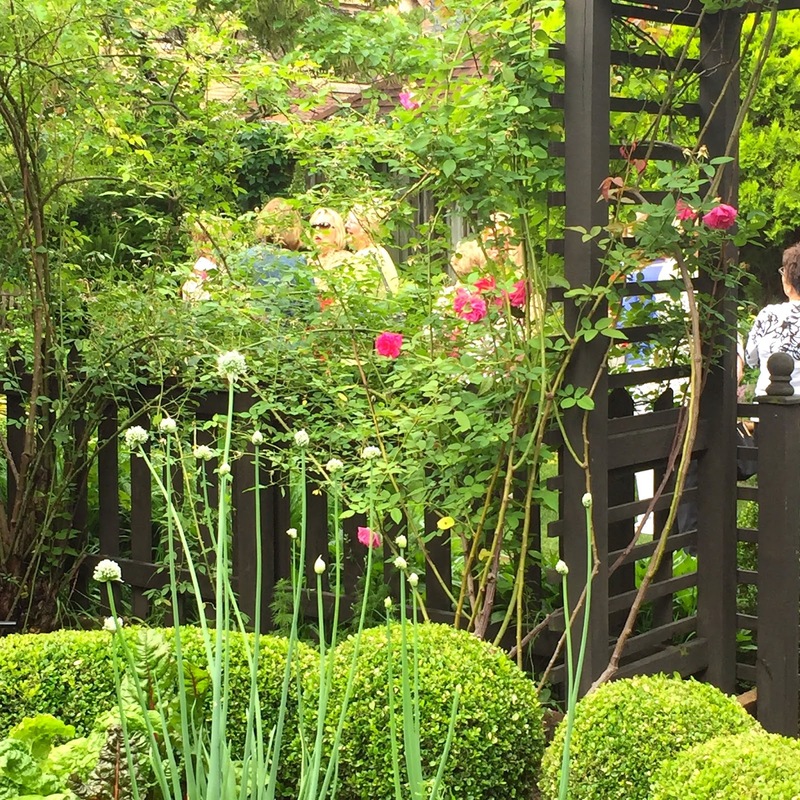 What about inspiration for trellises, arbors, pergolas, plant supports gates or fencing? 5. Most importantly...what questions should I ask to achieve my own gardening objectives and aesthetic? Gardeners are generous, a wealth of information...and often vain about their gardens! They are happy to talk about the beauty they have created...are eager to share tips and tricks, and are generally flattered by the attention their gardens generate. More than happy to answer the same question for the 600th time, or reveal the formula for a striking plant combo, or tell you how they get their edge so crisp and tidy. I am not normally an advocate for eaves-dropping, but a garden tour is an excellent place to do so! Listen for that question you forgot to ask, or that insight that escaped you. 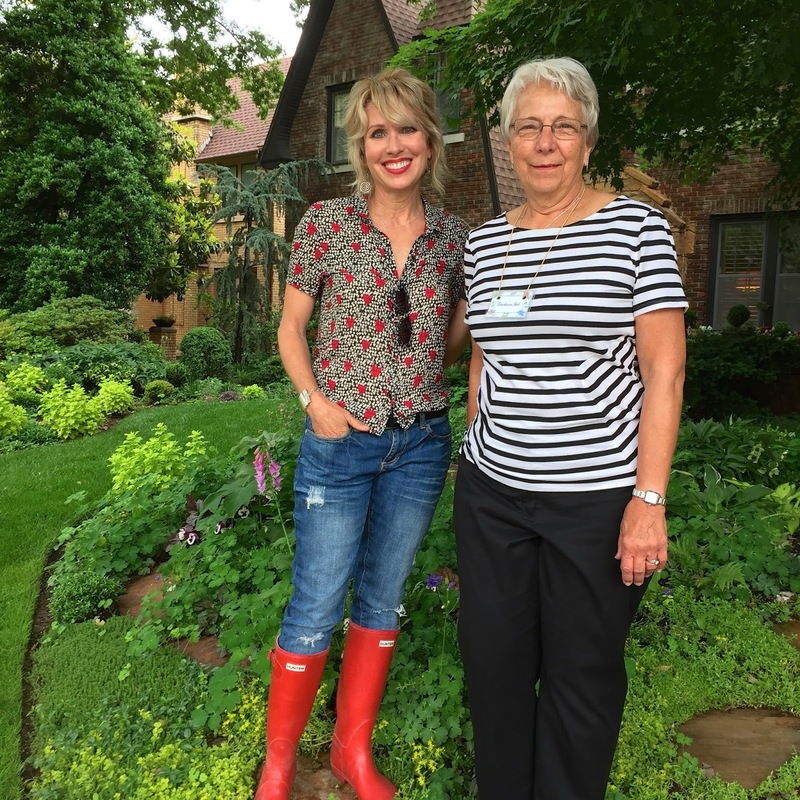 Don't be shy about asking other tour participants how they solved a garden problem, or how they deal with all of the challenges Oklahoma gardeners face.